Brothers Corey and Casey Wilkinson will ride just about anything, just about anywhere. You can (and should) check out their blog Good Spark Garage. 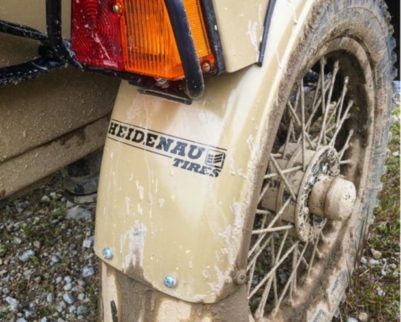 Both Urals — a 1WD cT ridden by Casey and 2WD Gear Up Sahara — were sporting a fresh set of Heidenau K37s and K67s. Check out the full story. It’s a great one.